Upgrade your business space with wall coverings! Are you looking to add some flair to a room? A fresh coat of paint may be exactly what the room needs. If you want to go a different route, wallcoverings are another excellent option! They are commonly used in commercial applications today and can make a business stand out from the competition. Here are three advantages of investing in wallcoverings. One of the most appealing characteristics of wallcoverings is that they are a low-maintenance option. Painted walls may need to be cleaned over the years in order to keep up their appearance. Wallcoverings are exceptionally durable and require virtually no maintenance. 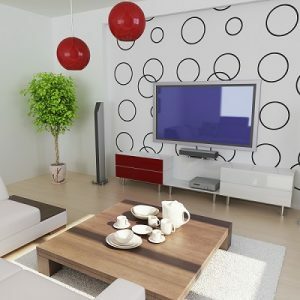 Did you know that vinyl wallcoverings are customizable? If you have a particular logo or design in mind, you can have it printed on your new wallcoverings. Since wallcoverings last far longer than a coat of paint, they are an economical option that should end up saving you money over time.